This book is merely a personal narrative, and not a pretentious history or a philosophical dissertation. It is a record of several years of variegated vagabondizing, and its object is rather to help the resting reader while away an idle hour than afflict him with metaphysics, or goad him with science. 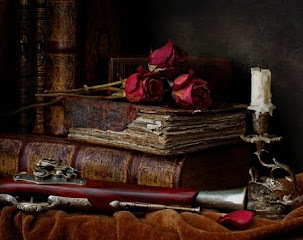 Still, there is information in the volume; information concerning an interesting episode in the history of the Far West, about which no books have been written by persons who were on the ground in person, and saw the happenings of the time with their own eyes. I allude to the rise, growth and culmination of the silver-mining fever in Nevada—a curious episode, in some respects; the only one, of its peculiar kind, that has occurred in the land; and the only one, indeed, that is likely to occur in it. Yes, take it all around, there is quite a good deal of information in the book. I regret this very much; but really it could not be helped: information appears to stew out of me naturally, like the precious ottar of roses out of the otter. Sometimes it has seemed to me that I would give worlds if I could retain my facts; but it cannot be. The more I calk up the sources, and the tighter I get, the more I leak wisdom. Therefore, I can only claim indulgence at the hands of the reader, not justification. “I myself have dreamed up a structure intermediate between Dyson spheres and planets. Build a ring 93 million miles in radius - one Earth orbit - around the sun. If we have the mass of Jupiter to work with, and if we make it a thousand miles wide, we get a thickness of about a thousand feet for the base. And it has advantages. The Ringworld will be much sturdier than a Dyson sphere. We can spin it on its axis for gravity. A rotation speed of 770 m/s will give us a gravity of one Earth normal. We wouldn't even need to roof it over. Place walls one thousand miles high at each edge, facing the sun. Very little air will leak over the edges. Once the four travelers arrive at the Ringworld the novel becomes a more picaresque tale of their adventures. In spite of this the plot itself had several exciting moments with the group on the proverbial brink of disaster. This novel set in Niven's "Known Space" universe is considered a classic of science fiction literature. It was followed by three sequels, preceded by four prequels, and ties into numerous other books set in Known Space. Many of the concepts displayed in Ringworld were originally presented in earlier novels by the author. The Nebula award-winning novel still retains its ability to charm the reader. This entertaining mystery successfully maintains suspense throughout the story. At the start the discovery in a landfill of the mutilated corpse of Erin Carmody, the 18-year-old daughter of a prominent Boston businessman, presents homicide detective Adam Garrett with a particularly sensitive case. Marks on the body suggest the killer was conducting Satanic rituals. When Adam and his partner, Carl Landauer, question the prime suspect, Jason Moncrief, a college friend of Erin's, Jason chants the name of the demon Choronzon, then assaults Carl. Despite what appears to be an open-and-shut case, Adam can't discount the claim that Jason is innocent made by Tanith Cabarrus, an attractive witch who comes to police headquarters to report, that she dreamed of other murders--and who believes that supernatural forces are behind the slaughter. The main character, Detective Adam Garrett, is the type of hero who follows his own instincts even when his boss and others do not approve. Mystery is darkened throughout by a layer of witchcraft and the setting in Massachusetts near Salem augments that layer. The major supporting characters are presented with believable detail while the trappings of the supernatural do not detract from the more traditional aspects of detective work. Overall, Sokoloff's fast-paced and suspenseful style makes this an enjoyable entertainment. This is a novel of contrasts: contrasting characters and contrasting stories. But the stories are linked thematically and by the character of Olive Kitteridge. It is Olive who,with her husband, is on center stage in the opening story. She makes a formidable contrast with her gentle, quietly cheerful husband Henry from the moment we meet them both in “Pharmacy,” which introduces us to several other denizens of Crosby, Maine. Though she was a math teacher before she and Henry retired, she’s not exactly patient with shy young people—or anyone else. Yet she brusquely comforts suicidal Kevin Coulson in “Incoming Tide” with the news that her father, like Kevin’s mother, killed himself. And she does her best to help anorexic Nina in “Starving,” though Olive knows that the troubled girl is not the only person in Crosby hungry for love. Children disappoint, spouses are unfaithful and almost everyone is lonely at least some of the time in Strout’s realistic and rueful tales. The Kitteridges’ son Christopher marries, moves to California and divorces, but he doesn’t come home to the house his parents built for him, causing deep resentments to fester around the borders of Olive’s carefully tended garden. Tensions simmer in all the families here; even the genuinely loving couple in “Winter Concert” has a painful betrayal in its past. Elizabeth Strout deftly demonstrates these emotions in linked stories with beautiful precise prose that more often hints at the feelings and shows characters reacting with glances rather than stares. Olive's presence comes to be expected, but her encounters with other characters are never predictable. At times the stories were reminiscent of the estimable Sherwood Anderson's tales of Winesburg, Ohio; the prose evanescent but precise enough to suggest the pen of Connell or John Williams. The dangers of societies everywhere, aging, the loss of love, the imminence of death, are present in the stories of Crosby, Maine. This is the sort of novel you enjoy for the perceptive writing and the resonance with lives lived elsewhere. Olive brings more tartness than most titular characters, but as a reader I was enchanted with her stories and those of the people around her. "have to be joined together, have to be forced into one another, have to be proved dependent upon each other, while all solid entities have to dissolve, if they are to outlast their momentary appearance, into atmosphere." The novel, on the surface, is a fairly straightforward story of a native son’s return, along the lines of Hardy’s Return of the Native. Wolf, the eponymous hero, an extremely sensitive soul, returns to his hometown on England’s South Coast after suffering a mental breakdown in London. But instead of recovering his innocence at home, he loses it completely. He is coming to a presumably serene writing assignment for the local squire, to escape the intensity of the city, to understand his past, and to somehow vindicate his tightly wound mother. Nothing goes to plan. He becomes entangled in various affairs, romantic and professional, and uncovers horrible truths about some old friends and neighbors. A battle between his father’s joie de vivre and his mother’s nervousness rages in his head. He becomes sympathetic to his father’s mistress, becomes attracted to his half-sister. The job he’s come for is not at all what he’s expected. 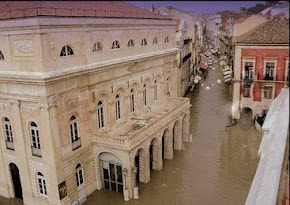 In fact, nothing in this town provides relief from intensity. In the end he returns, disillusioned, to the anonymity of London. You can’t go home again sums up the novel in a nutshell; but a nutshell is far too small for Powys. It is what throbs beneath the surface of this novel, from the hero who is alive to every blade of grass and housefly to the world around him. There are many contemplative walks through the English countryside where he plays out every reading of his life in order to make some sense of it. His reverence and concern for the natural world is laudable and, admittedly, hard-going in places. Powys hated most things modern – such as, say, technology and capitalism – so he lingers where others might move along. This is in the heart of the story and all of Powys’s novels. Wolf Solent by John Cowper Powys. Vintage Books, 1998 (1929). *Sparta was the main rival to Athens in Ancient Greece. The city-state had a unique moral and cultural society. Two hereditary kings ruled at a time, presiding over a war-obsessed culture that shunned any form of luxury and threw 'weakling' newborns down a nearby chasm. Boys were separated from the rest of society at the age of seven and brought up in a military school that emphasized physical toughness and encouraged stealing as a form of subsistence. They were taught to speak 'laconically': briefly and wittily. As the men of Sparta were often separated from the women to engage in war with Sparta's neighbors, the women enjoyed a greater degree of power and freedom than was found in other Ancient Greek states. The peculiarities of the Spartan way of life has rendered it a continuing source of fascination from Classical times until the present day. Machiavelli, for example, was an admirer of Spartan culture, as was John-Jacques Rousseau. 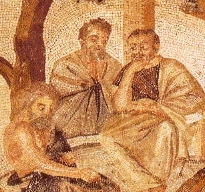 Its founder, Zeno (c 336-264 BCE) (not to be confused with the Eleatic Zeno), discussed philosophical ideas at the agora in the Stoa Poikile, Painted Colonnade, or porch and thus his followers came to be called Stoics or "philosophers of the porch". Like so many others, Zeno was impressed with the thought and character of Socrates. Interpreting the Socratic model from the point of view of the Cynics, Antisthenes, Diogenes, and Crates of Thebes, of whom Zeno was for a time a disciple, Zeno admired most in Socrates his strength of character and independence of external circumstances. From Zeno's point of view, virtue resided not in external fortune, wealth, honor, and the like, but in self-sufficiency and a kind of rational ordering of intention. Later Stoics of the Hellenistic period, including Cleanthes of Assos (c 331-233 BCE) and Chrysippus (c 281-208 BCE), developed Stoicism as a systematic body of doctrine, complete with a system of logic, epistemology, and cosmology. In logic, the Stoics developed the logic of propositions more recently formalized by Frege and Bertrand Russell. 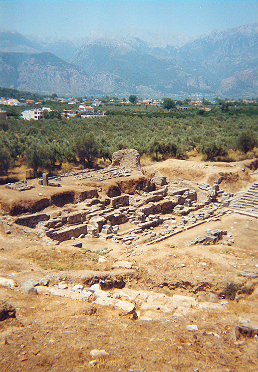 Chrysippus was recognized by his contemporaries as the equal of Aristotle in logic. Stoic epistemology was decidedly empiricist and nominalist in spirit. They rejected both Plato's and Aristotle's notions of abstract universals. Only particular things exist and our knowledge of them is based on the impressions they make upon the soul. Our knowledge of particular objects is therefore based on sense perception, as is our knowledge of our mental states and activities, our soul itself being a material thing. Metaphysically, the Stoics were materialists. While all that exists is material, nevertheless there are two principles of reality. The passive principle is matter devoid of quality. Borrowing from Heraclitus, the Stoics identified the active principle of reality with the Logos, Reason, or God. Unlike later Christian versions, the Stoic view of the Logos is both materialistic and pantheistic. God has no existence distinct from the rational order of nature and should not be construed as a personal, transcendent deity of the sort essential to later Western theism. 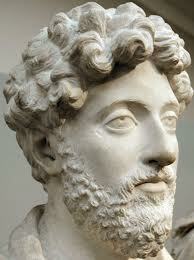 The Stoics were determinists, some even fatalists, holding that whatever happens happens necessarily. Not only is the world such that all events are determined by prior events, but the universe is a perfect, rational whole. For all their interests in logic and speculative philosophy, the primary focus of Stoicism is practical and ethical. Knowledge of nature is of instrumental value only. Its value is entirely determined by its role in fostering the life of virtue understood as living in accord with nature. This practical aspect of Stoicism is especially prevalent in the Roman Stoic, Epictetus (c 50-138 CE), who developed the ethical and religious side of Stoicism. This practical side of Stoicism can be seen best in the life of Marcus Aurelius who described the stoic life in hi famous Meditations. Nothing, of course, goes according to plan, especially since everyone seems on to his scheme, and the horses aren’t as cooperative as Tommy would like them to be. Complicating the issue is the quirky, intelligent Maggie Koderer, new to the horse-race business but nonetheless Tommy’s love. Maggie is college-educated but is drawn to the seamy underbelly of the track and the broken-down beauty of the horses. The best aspect of Jaimy Gordon's fine novel is the portrayal of the racing milieu. The atmosphere is a presence that is strong enough to smell. The characters are developed through small vignettes through which their personalities gradually emerge. Gordon structures the narrative around the four horses and she seamlessly moves the reader from one narrative consciousness to another without being manipulative or intrusive. The races themselves are described with a tour de force of energy and spirit. The exceptional writing and idiosyncratic characters give the reader entry into another world and make this a delightful, engaging, and even award-winning read. Lord of Misrule by Jaimy Gordon. Vintage Books, 2011.
Who was Socrates? He died in 399 BC and according to Plato and Xenophon there was a trial at which he was condemned to death. But there are no writings of Socrates for he never wrote down anything. The result is we must rely on the picture of Socrates drawn by Aristophanes, Plato, and Xenophon. In the Clouds Aristophanes portrayed Socrates as a teacher who charged fees for instruction, taught a variety of subjects including rhetoric, and disbelieved in the traditional gods. All of this is denied in the description of Socrates in Plato and that of by Xenophon. Aristophanes comic portrait, which was the only one produced contemporaneously with Socrates own life, is one that seems slanted to meet the satirical comic ends of the playwright. In spite of this, if we believe Plato's description of the relationship of Aristophanes and Socrates in his Symposium they appeared to be friends. While some claim that Aristophanes' portrait of Socrates was based on hostility I would side with those (scholars like G. Murray) who suggest it was based on pure comedy. The play as a whole still retains comic elements that twenty-first century readers can and do enjoy. More interesting in my recent reading is the portrait of Socrates that one may glean from the dialogues of Plato. The familiar saying of Socrates is that he only knows that he does not know anything. And he spends his time refuting his dialectical partners who claim to know something. This usually leads to the result that they admit they do not know what they claimed to, but also usually leaves the reader in the dark as the dialogue ends without any resolution or answer to the questions posed by Socrates. This occurs repeatedly with unsuccessful attempts to define temperance (Charmides), courage (Laches), or friendship (Lysis). It is surprising when, in a reading of the Gorgias, the reader finds a different Socrates who does claim to know several things. It is here, in the Gorgias, that we see Plato's own dramatic art at work, molding a new and improved Socrates to perform in a way that will display, perhaps, the views of Plato himself. Socrates goes on to present a treatise of a sort that comments on the destiny of the soul, giving the dialogue a foundation that in retrospect it seemed to be aiming at the whole time. Lisa Alther is an excellent storyteller. This is evidenced by her several successful novels. It is her storytelling ability that makes Blood Feud a pleasure to read. Notably, the subtitle for the book includes the words "Epic Story" as a sign of what the reader should expect. The epic story is just that although it takes less than half the book to tell it. After the conclusion of the story of the feud between the Hatfields and the McCoys the book continues to expand upon the feud. There is a short discussion of the subsequent history of the two families followed by stories of similar feuds that, while sometimes even more violent, did not receive the attention given to the Hatfields and the McCoys. The author does not end there but continues with some psychologizing about the possible reasons for the violent behavior of these particular clans and adds a chapter on her personal family history that is indirectly connected to the main story. Like most people I had a limited awareness of the story of the Hatfields and the McCoys before reading this book. In it I learned about many interesting details throughout the story that suggested this was a complex saga rather than a simple tale of revenge. Lisa Alther puts her storytelling abilities to good use to expand upon the limited evidence that exists about the feud. For this story was one in which many of the participants were near-illiterates at best and the closest chroniclers were often tainted by family connections to one or the other side in the feud. The author sorts this out in a way that provides some clarity; however it does not raise the storytelling to the level of history. The additional material contains interesting speculation about the sources and psychology of the feud. But this material also demonstrates the authors own bias from her vantage point in the twenty-first century. The result is a great story with added commentary that, for this reader, raised my skepticism about the apparent objectivity of the author. Perhaps that is a good thing for anyone reading fictional non-fiction. Blood Feud by Lisa Alther. Lyons Press, 2012. "Do not lose your knowledge that man's proper estate is an upright posture an intransigent mind, and a step that travels limitless roads. ... Do not let your fire go out, spark by irreplaceable spark. In the hopeless swamp of the bot quite, the not yet, and the not at all, do not let the hero in your soul perish and leave only the frustration for the life you deserved, but never have been able to reach. . . . The world you desire can be won, it exists, it is real, it is possible, it is yours." - Ayn Rand, Atlas Shrugged, p 993. The title tells it all. Marsha Familaro Enright's revision and update of Ronald E. Merrill's book provides an explanation and an overview to the life and thought of Ayn Rand. The author demonstrates a substantial breadth of knowledge about Ayn Rand and her work. In addition to the overview of Ayn Rand and her work the author presents examples of people in many different walks of life that have been influenced by Ayn Rand's thought along with a brief history of the growth of Ayn Rand's philosophy of Objectivism. As someone who has read most of Ayn Rand's fiction and non-fiction I was impressed with the depth of understanding and the insights of the author. 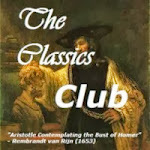 She compares Ayn Rand's fiction with examples of other authors when relevant and explains clearly the development of the philosophical outlook represented by the characters in Rand's major works. She also presents some of the common criticisms of Ayn Rand's philosophical views in lucid prose that makes clear the nature of the issues and the power of Rand's ideas to refute them when they are properly understood. Above all, her presentation and discussion of the ideas and the views of critics of Ayn Rand show a reasonableness that demonstrates the true nature of Objectivist thought and honors her subject. This approach was refreshing and all too rare in an age when irrationality is held as the norm by many. Ultimately, any explanation of Ayn Rand must focus on the power of ideas. These are presented clearly here and the reader is encouraged to read her work and think for himself about the value of those ideas. The nature of Ayn Rand's ideas is presented in a way that I found engaging and hopeful. I believe that readers both new to Rand and those who have read much of her work will benefit from the insights provided in Ayn Rand Explained. Ayn Rand Explained by Ronald E. Merrill, Revised and Updated by Marsha Familaro Enright. Open Court Publishing, 2013. Kien is absorbed in his studies of Chinese and fears social and physical contacts, but he is pressured into marrying his ignorant housekeeper, Therese Krummholz, who robs him with the help of Benedikt Pfaff, the proto-fascist apartment manager. Kien descends to the depths of society as his brother tries in vain to cure him, reaching an apocalyptic end amid his books. The descent is worth the trip of reading--fantastic literature was never better. "It was a school full of love. 'Without affection,' J.V. Milne once wrote, 'the schoolroom is a hard, forbidding place. With love, it becomes the next best place to home.' For the Milne boys, of course, school and home were inextricably entwined. As soon as he is old enough to think about it, Alan can hardly wait to be a proper Henley House schoolboy." I found the background of Alan (A.A.) Milne, the author and playwright who later became world famous for Winnie the Pooh to be very interesting. He grew up in the 1880s with his older brothers in the small British schoolhouse where his father, John (J.V.) Milne, was the headmaster. Because J.V. came from poverty, he lacked qualifications and was only able to become headmaster at rougher schools. Yet he led these with affection and good humor. Alan was to grow into a man with confidence. This biography provides other fascinating details about the life of the man who wrote much and lived a literary life. It is a good introduction to the man behind the famous children's stories. 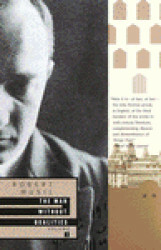 The Austrian novelist Robert Musil was born on this day in 1880. While Musil’s The Man Without Qualities, his unfinished, twenty-year, multi-volume portrait of the Austro-Hungarian society on the brink of WWI, has received the highest critical praise, and admiration from a lot of other novelists, he is little known and seldom read. His own career was filled with disappointments and, despite some newer translations in recent years and a bit more attention from the academy, the disappointments and ironies have continued. Educated as an engineer, after writing a Ph.D. thesis on Ernst Mach's epistemology he rejected the academy, becoming a philosopher, aphorist, essayist, and writer of novels. His choice was one that he saw as the best path for him, not the obvious one. 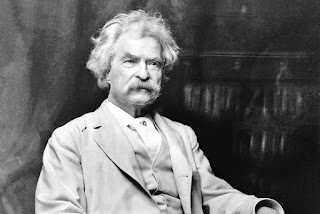 "The Man Without Qualities is one of the most prestigious novels of the 20th century; the sort of book no one has read but everyone has heard of. It is well worth reading, even though it is very long, very slow, and was unfinished at the time of Robert Musil's death…. The writing is so precise and the argument Musil makes about Ulrich and his situation so intricate that it is intellectually and aesthetically involving even before it becomes emotionally involving. This is a wonderful and readable collection of Mitchell's essays, in which he lovingly describes haunts like the Fulton Fish Market and McSorley's, one of the last bars in America to admit women, and profiles various folk and colorful denizens of New York City's nether regions, most famously, Joe Gould, the bohemian character with whom he is inevitably and eternally linked. Mitchell demonstrates great skill as a writer by letting his subjects seemingly speak for themselves, all the while rendering their words in compulsively readable fashion. This works best with Joe Gould who was a fountain of words anyway. The story tells of Gould, a Harvard grad, subsisting on practically no money (one of his tricks is to make a soup out of the ketchup in restaurants), with a propensity for making a spectacle of himself as he starts flapping his arms and declaiming poetry in the "language" of sea gulls. It shows how he works on his nine million word Oral History of Our Time. Within the pages of hundreds of composition books, of the kind we used to use in school, Gould claimed to be writing a history of the world in the form of the conversations of ordinary people as he heard them speaking every day ""What people say is history." (Reminds me of Studs Terkel). It was this idea that beguiled Mitchell and his readers, made Gould into a minor celebrity, and ultimately formed a tragicomic link to Mitchell's own career. All of this and more is included here from his reportage for The New Yorker and his four books—McSorley's Wonderful Saloon, Old Mr. Flood, The Bottom of the Harbor, and Joe Gould's Secret—that are still renowned for their precise, respectful observation, their graveyard humor, and their offhand perfection of style. Up in the Old Hotel by Joseph Mitchell. Vintage Books, 1993 (1992). The American Boy is a pre-Victorian murder mystery set in 1819-20 but, amazingly, was written in the twenty-first century. It was inspired by the author's interest in the brief period that Edgar Allan Poe spent in England while still a young boy. Building on this real event and some of the real characters, such as Edgar's foster father John Allan and his natural father David Poe, Andrew Taylor spins a mystery out of this moment in the famous author's life. The result is a very satisfying mystery with a central character, Thomas Shields, who is a school teacher but becomes quite by accident an amateur sleuth as the mystery of several intertwined families, two murders, a banking scandal, and the identity of the victim of one of the crimes draws Shields gradually deeper into its depths. As a school teacher in a small school he has two students, Edgar Allan and Charles Frant, who become mutual friends and in whom he takes an interest as they are bullied by some bigger boys. Shields is somewhat impoverished and thus dependent on his "betters" with certain consequences for the story. He inhabits a sort of never-land somewhere in between the Parents of his students and their servants. Since he is living in their households for much of the story as tutor to Edgar and his friend Charles Frant this existence becomes somewhat oppressive for Shields. It is further complicated by his attraction to the mother of Charles. Murder, unacceptable love, questions of identity and missing money -- just the stuff of great mysteries. The best part of this novel is the pre-Victorian setting as Andrew Taylor effectively recreates the world of England in the last days of the reign of King George III. Told in the first person by Thomas Shield through his journal the story covers only nine months time but there is what becomes a tidal wave of events and plot twists before Shields' narrative is complete. I was unfamiliar with Andrew Taylor when I discovered this book, intrigued by the connection with Poe. What I found was a master of mystery whose ability to create a believable labyrinthine plot keeps the reader guessing almost until the last page. The American Boy by Andrew Taylor. Harper Perennial, 2008. 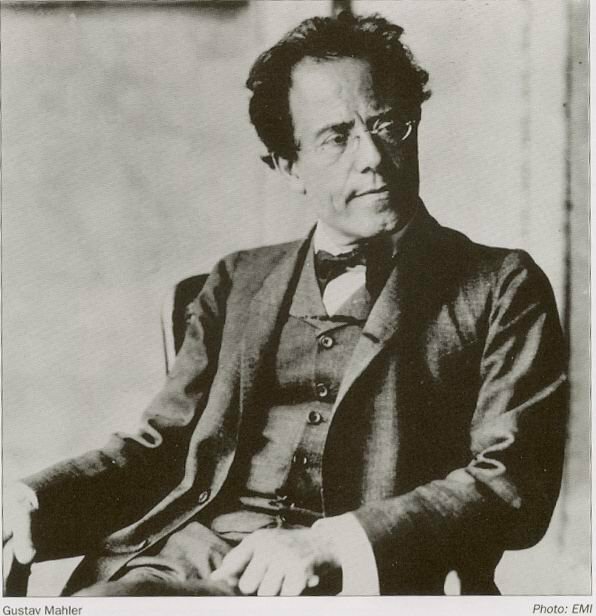 Mahler is in the world and the world is in Mahler. This is evidenced by his great symphonies and the Third Symphony was the first and perhaps the best example, with regard to the world of Nature. It is Mahler’s hymn to the natural world and his longest work largely composed in the summer of 1895 after an exhausting and troubling period that pitched him into feverish creative activity. Bruno Walter visited him at that time and as Mahler met him off the ferry Walter looked up at the spectacular alpine vistas around him only to be told: "No use looking up there, that’s all been composed by me." The Third Symphony in D Minor is Mahler's own pastoral as he was inspired by the grandeur around him at the very deepest level of feeling and also by visions of Pan and Dionysus. In fact he was moved by a sense of every natural creative force in the universe infusing him into "one great hymn to the glory of every aspect of creation", or, as Deryck Cooke put it: "a concept of existence in its totality." With references to Brahms First Symphony and, above all, Mahler's own songs from the Wunder Horn cycle the massive work also incorporates a setting of the "Midnight Song" from Friedrich Nietzsche's Also Sprach Zarathustra, a Soprano soloist, a children's chorus and another with female voices. The result is a gargantuan symphony that can easily be said to represent the world as seen through Nature--at least the Nature that speaks to Mahler. To ensure his inspiration was at hand Mahler had a hut built in the countryside on the shore of a lake where the sounds of Nature abounded. His Third was the first symphony he wrote in that hut but he would return for several summers to renew his inspiration and compose many more. This afternoon I attended a performance of Mahler's Third by The Chicago Symphony Orchestra under the baton of Semyon Bychkov. Joining the Orchestra was Bernarda Fink, Mezzo-Soprano, Women of the Chicago Symphony Chorus, and Anima, Young Singers of Greater Chicago. This work is well-suited to the strengths of the CSO and they performed admirably with stamina and strength in all sections. While the Brass stood out, this difficult work found the strings and woodwinds not lacking. The result pierced directly to my soul during both the first and final movements. It was exceptional music for an Autumn afternoon.